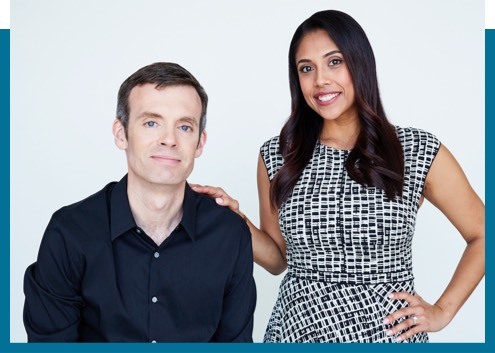 Noah and Christine are clinical partners who understand the experience of being a patient, and the drive to overcome life’s obstacles with intention and purpose. Life is hard, being human is hard, and nobody is perfect. Which is why we are committed to learning how to better deal with emotional pain, and even develop more intention, courage, and strength from it. I began my journey toward becoming a psychologist as a patient. And, I struggled with anxiety and other issues for many years before first seeking help in my thirties. I had always been highly resistant to the idea of therapy and thought that it was not for me. I was wrong. I struggled with anxiety for most of my life without knowing it. When I reached my twenties, I learned through therapy that my chronic digestive issues and incessant worry were interrelated. Knowledge and awareness are empowering.